Are you are code cracker? Its time to test your code breaking abilities. Here in this picture puzzle, your challenge is to crack the code and then open the lock. There are 3 digit number sequence given and corresponding statements regarding the correctness of this code is provided. Your challenge is decode this code and then open the lock. So are you ready to crack this code? 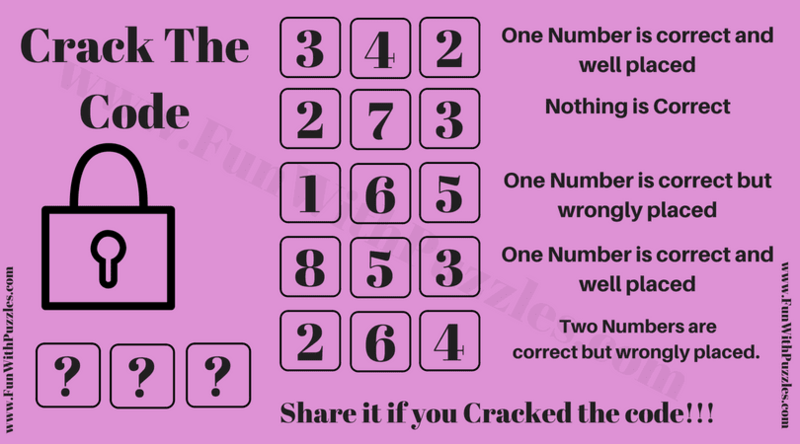 Answer of this "Code Cracking Brain Teaser", can be viewed by clicking on button. Please do give your best try before looking at the answer. 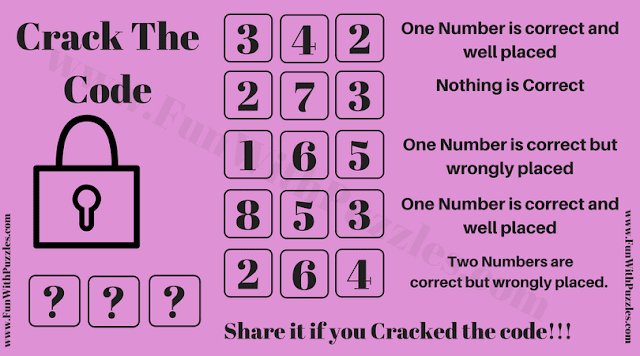 Nice your time to solve this code cracking brain teasers at this age is amazing. Keep it up and solve other puzzles at this website and post your comments.